Sydney, 4 June 2014- When Toyota announced in February they would be closing their manufacturing plants in Australia in 2017, they joined Holden and Ford who had made earlier announcements their car manufacturing would be going offshore. 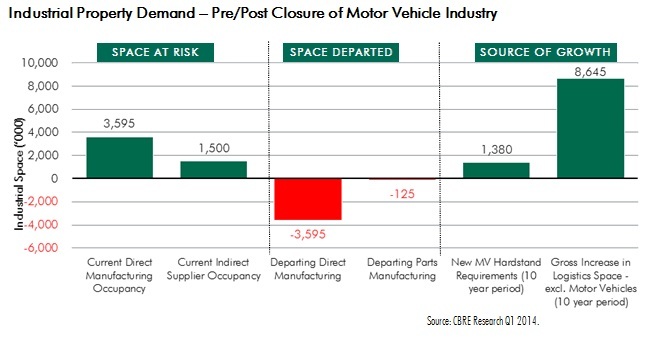 CBRE Australia’s most recent Viewpoint identifies that these closures will not only impact the motor vehicle industry, but will also have a flow-on impact to industrial markets and suppliers to the motor vehicle industry. Research Manager Mark Lafferty said that while this impact is likely to be negative in the short term, the growth in the transport and logistics sector in the long term has the potential to ensure the industrial sector in Australia continues to grow. 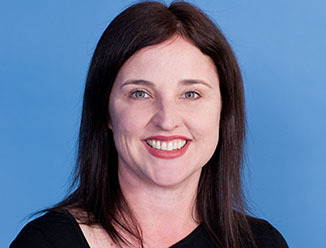 CBRE Research Manager Mark Lafferty found that whilst the closure of Toyota, Holden and Ford may mean the end of car manufacturing in Australia, after analysing the trend over the last 10 years, it is evident that the market has already absorbed a significant decrease in production over this period. Throughout Australia, the major contribution to growth in Industrial has been the transport and storage sector rather than manufacturing. Outputs in the manufacturing sector since 2000 have only grown from $25b to $26b, compared to the transport and storage sector’s growth from $14b to $18b over the same time period. Over 5 million sqm of industrial land will become available in Victoria and South Australia between 2016 - 2017, following the closure of direct manufacturing plants and a decrease in space required by indirect suppliers. Despite the large land availability, strong demand will continue for new vehicles in Australia, and the space previously used for manufacturing is likely to be adapted to cater for storage of imported motor vehicles. This will have a knock-on effect in creating greater demand for transport, storage and logistics providers, as the stored vehicles will need to be distributed to retailers. CBRE’s Viewpoint highlights that the growth in the transport and storage sector will not only absorb the available land, but will also grow the required space for the industrial sector. It puts the net increase in space requirements over the next 10 years at 6,400,000sqm. “Whilst the closures will potentially result in issues in the short term due to space availability and a further decline in manufacturing, the growth in the transport and storage sector will not only absorb the space which will come on line, but is also expected to continue to drive growth in the industrial sector over the next 10 years,” Mr Lafferty concluded.